Landscaping is the art of modifying a visible area of land for beautification purposes. It uses plants and animals, natural bodies of water and land. It also calls for construction of patio, walls, and decks to provide more beauty to the land. Landscaping calls for an artistic design and a keen knowledge of construction since it involves changing the landscape for the better. There are many options for landscaping. Some want a more tropical feel while others want a more modern one. Whichever you choose, the landscape architect is there to guide you through the whole process. 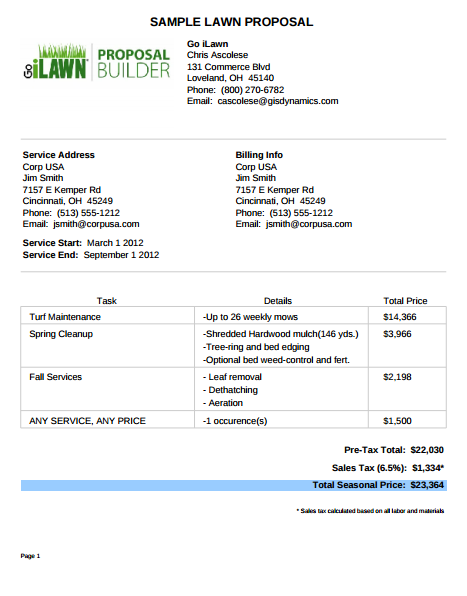 You may also see landscaping estimate templates. But of course, you cannot go into landscaping without a plan. 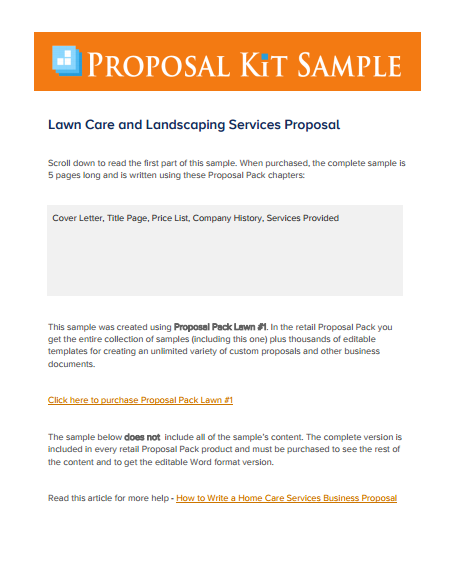 A landscape project usually begins with a sample proposal. This written document will detail how you will change the landscape chosen by your client. 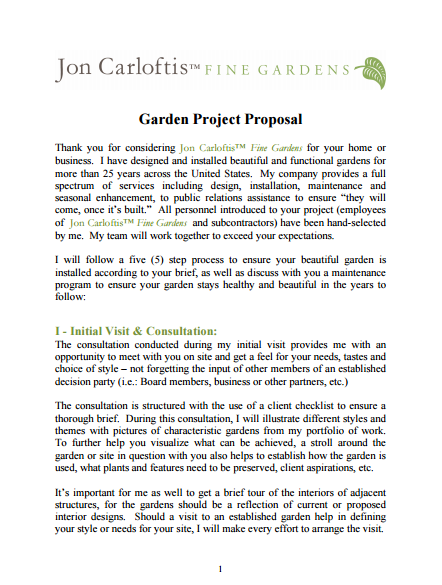 It is a tough and tedious task, but this proposal will help you get through the landscape project. It helps a lot if you interview your prospective client before you start the project. You will get all the details and be able to meet his/her expectations. Aside from that, you’d know his/her preferences when it comes to style and visuals, and the materials needed for the project. You get to find out important things related to the project straight from the client. With this, you get to visualize his/her ideas for the upcoming landscaping of his land. You may also see writing proposal templates. A first-hand experience and immersion on the site to be landscaped is very important. You will see the areas that your client wants to be improved. The site visit allows you to see what you could do with the land that goes beyond your client’s demands. It will also reveal some issues that need to be addressed in the reconstruction process. You may also like proposal outline templates. This part comes after the interview and site visit. Since you have gathered the details of the project and from your client, you have to make a breakdown of expenses. These expenses include the materials, labor cost, and machinery. A budget you and your client will agree on would come out of this. Make sure to inform your client about your estimate. After the estimate is done, start writing the outline of your proposal. This is a detailed plan you present to the client that breaks down the whole landscaping process. When writing, keep it short and simple. Always start off with a strong introduction. In the body, be specific in giving out details that cater to the needs of the client. Wrap up with a good conclusion that will convince your client to give your project a green light. Have somebody from the outside, either a friend or a family member, to check your work. Spelling and grammatical errors tend to be unnoticed in the first draft. A final run through would do wonders before submitting the proposal. You may also like sample proposal templates. A landscape design does not just come out of the blue. There are factors that need to be considered. Some elements should be taken into consideration as well. Every home is different from each other. As a landscape architect, you see what the bare essentials are when it comes to design. You may also see group proposal templates. Landscape design comes with crucial elements to make it work. These elements can make the project more attractive. Every landscape design must have a theme to be followed. The theme is the major key to the overall final design. The design must stand out on its own no matter what. When you follow a theme, there is a clear objective as to how the design of the landscape should be. You may also like proposal templates. The elements and positions of the things to be landscaped, whether in your house premises or some other place, should complement each other. This creates harmony and peace to the landscape architect’s perspective when he starts with the design. It also improves the visual appeal of the whole space to be designed. When there is harmony, it will be easier to design and modify the whole space. You may also like simple proposal templates. No matter how big or small space is, there is always one thing that needs to be focused. The landscape architect finds something that will be the center of attraction in the whole design. Sometimes a focal point can be an existing structure like a statue. If this draws attention, come up with complementary design to match its impact on the people. This will make the statue more appealing. You may also see simple proposal templates. Landscape architects create an outline of the lines and paths to be included in the design. This is a tricky part as they have to choose between straight or curved lines. Some themes don’t follow any symmetry and this can be hard. Paths are optional depending on the designer. If space will have paths, bricks can be put to indicate its existence. Transitions are another thing. These are planned ahead to avoid unnecessary actions when designing. You may also see proposal letter templates. Landscaping helps in increasing the value of your home and making it attractive to prospective buyers. It also helps in decreasing the cooling costs, as the plants give a natural cool feeling around the place. 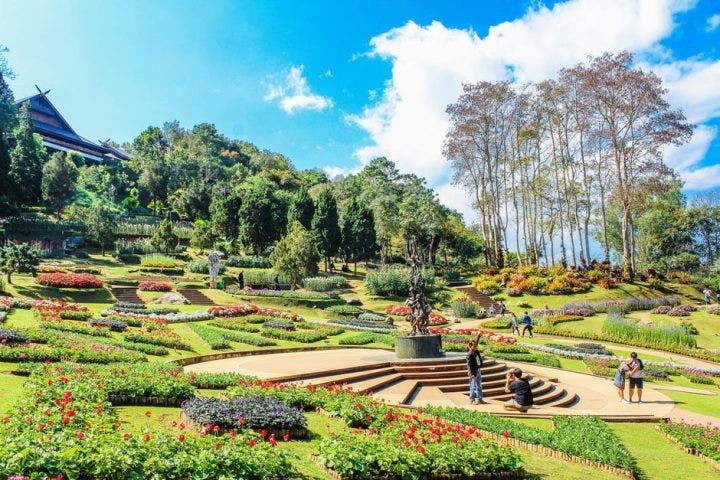 Landscaping gives environmental benefits such as reducing soil degradation, controlling extreme temperatures and soil erosion, as well as preventing floods. From a social perspective, landscaping creates an entertaining and relaxing environment. It provides privacy for those who want to relax. Landscaping makes the community more livable. This improves the livability of highly populated cities. Moreover, it encourages families to maintain an active lifestyle. With landscaping, you get to breathe fresher and cleaner air no matter where you are. You may also like design proposal templates. 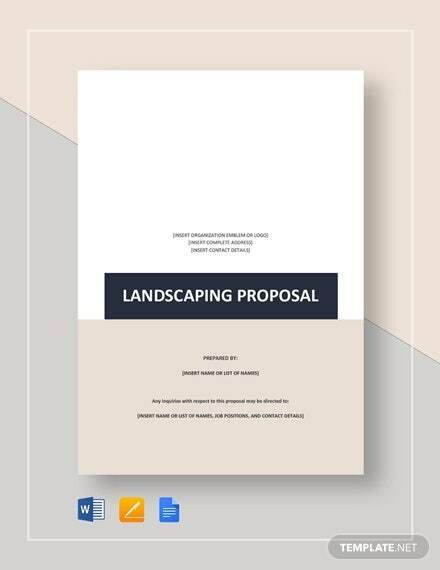 We hope this information can help you in coming up with landscaping proposal. Remember that there are no shortcuts when it comes to writing this kind of document. Do your best in convincing your client that you can do the job.